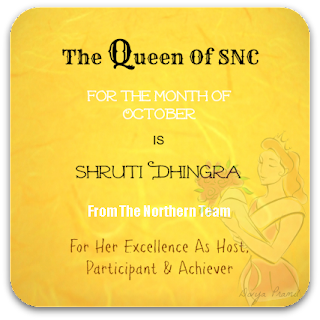 Happy to receive an award from Divya's Blog. I participated in Christmas Event organised by her and Priya, in that I sent many entries of mine. 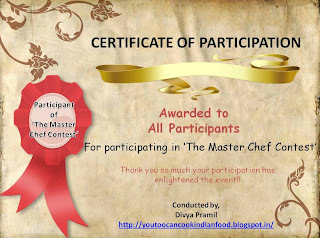 But the recipe which was appreciated by the readers was Chicken 65 and for that I received an award of Most Viewed Recipe. 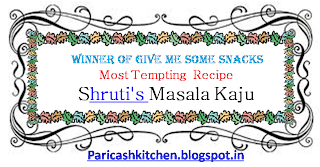 Thanks to all my readers and her blog readers who visited to view my recipe. Today I am sharing chicken pakora recipe with you all, it is the favourite dish of my son. He is big fan of chicken and I keep experimenting in chicken recipes for him. Wash chicken pieces and drain the excess water, keep them aside. 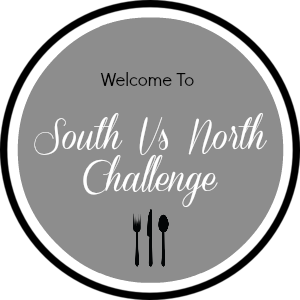 Mix all the ingredients in a large bowl, add chicken pieces and mix nicely so that the marination coats the chicken from all the sides. Marinate chicken pieces for 5-6 hrs. Deep fry them till brown from all the sides. Take them out on absorbent paper. Sprinkle chat masala and serve hot with sliced onion and lemon wedges. 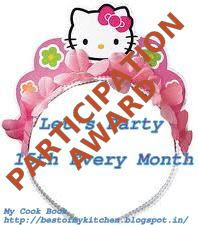 congrats shruts.keep going and chicken looks very yummy and tempting. Thanks All for your lovely comments !!! Congrats for the award.Nice pakora. Delicious and crispy chicken pakora, awesome. delicious snack! !congrats on your award!! 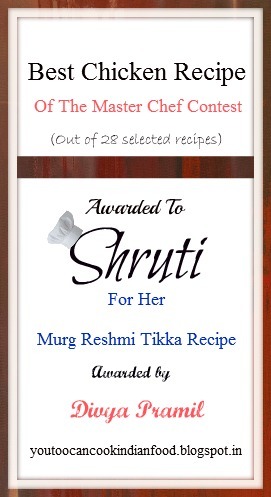 Congratulations Shruti, its a yumm snack! Love all the chicken dishes in your blog and this pakora looks delicious.